The 6th annual Boston Handmade Marketplace is happening one month from today! We are gearing up, building our inventory, and getting excited to share what we make, and HOW we make it, with you. One thing you can count on from Boston Handmade (free of charge with every purchase) is a bit of education and inspiration. We LOVE what we do, and we want to share that love with you. During our July 13th Marketplace you will see many of our exhibitors crafting throughout the day, and some will be providing materials and instruction to get you started on your own creative journey. If you're looking for fun accessories to accent your wardrobe and give as gifts, visit Abby of Abigail Leigh Handbags who says of her bright, whimsical creations, "I search out fabric stores for great new fabrics and remnants... My love of handbags is what got me started sewing them. 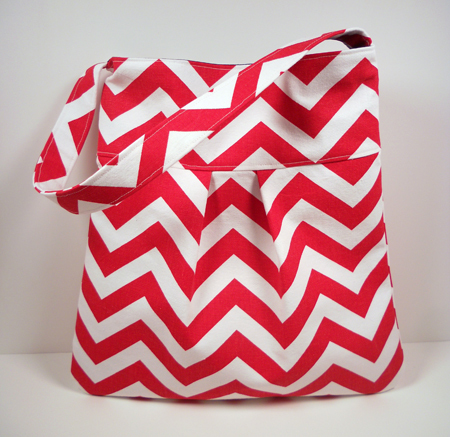 I want to create adorable, fun wristlets and handbags in home decor fabrics." 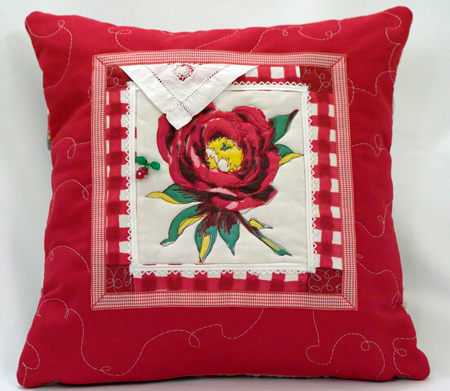 Seeking textiles for the home? Be sure to see Trope Pillows lovingly made by Lauren Teller who infuses them with meaning and expression, explaining that "By using embroidery, machine stitching, and fabric applique I combine the tropes and techniques of traditional female home-based arts into my own art form. I am drawn to these techniques both because of their tactile and expressive qualities, and because these humble domestic crafts are for me the perfect vehicle to express the issues of personal growth that inform my work." Applying her talents to both wearable and decorative textiles, Susanne of Enchanted Hue makes Shibori and handpainted silk that she sews into pillow covers or fashions into wearable wraps of many sizes and types with colors absorbed from the natural world, "Colors, textures, and patterns found in nature are the main inspiration for my designs. 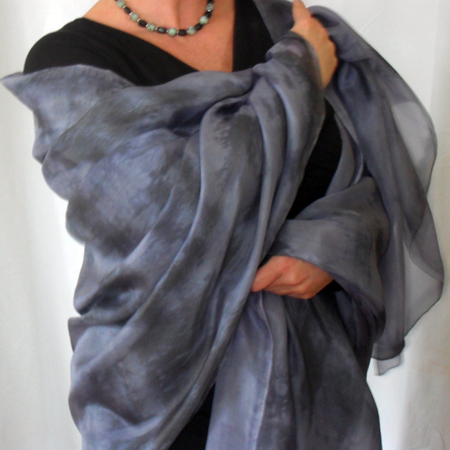 Most dyes used in my Shibori pieces are derived from plant material collected locally." 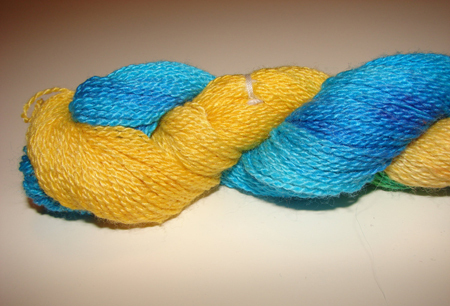 Also hand-painted at the Marketplace will be yarn made by Diane of Lady Dye Fiber Arts, "...an eco-friendly fiber arts business that creates vibrant and colorful hand-painted yarns and accessories that are street art inspired." 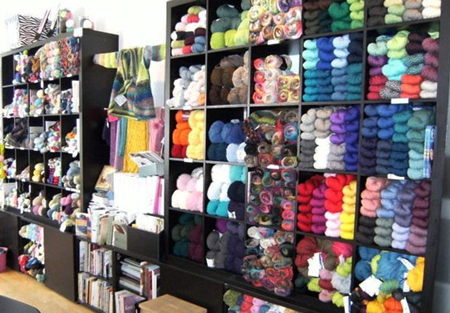 Wondering what to do with all that beautiful yarn? 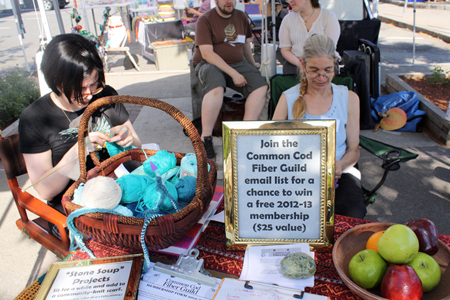 Pull up a chair with the Common Cod Fiber Guild and let them show you the difference between knitting and crochet, the magic of a drop spindle, and how to create almost anything with a couple of sticks and your own two hands. For additional creative inspiration and activities, hang out with Annissa of Stitch House for knitting fun, and make your own yarn pom pom! With a simple and fun technique you can adorn hats, mittens and more with adorable pom poms. While you're there, check out info on craft classes held at their Dorchester shop, and browse finished knitted and sewn items on display. But whatever you do, don't forget the children! If you want to make those cute kids even cuter, see Margaret DeBruin and her one-of-a-kind clothing for babies and toddlers, "I use brightly colored recycled and vintage fabrics to make light cotton and heavy winter hats. I love the way they make me smile every time I see a baby wearing one. 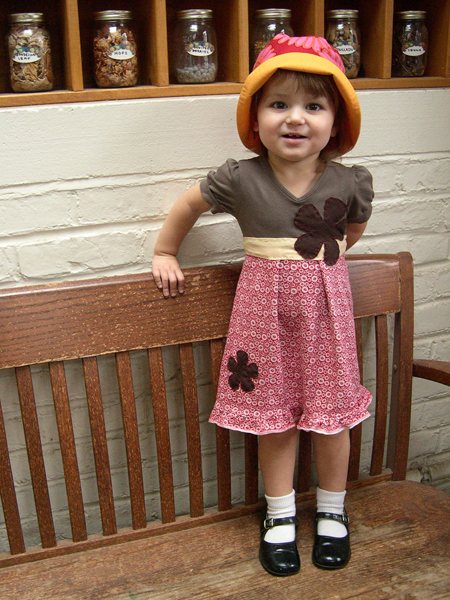 Recently, I added sun hats, dresses, hoodies, mittens and other accessories to my line, also made from recycled fabrics." Check back soon for another sneak peek at all the handmade joy that will be yours to take home at the July 13th Boston Handmade Marketplace in Union Square, Somerville.